Here are two pages from the preview, featuring new villain, Evil Chickadee. I see that Andrews McMeel has posted an 8-page preview of my new book, Laser Moose and Rabbit Boy: Disco Fever. And this sample gives you another glimpse of new villain, Evil Chickadee, while Laser Moose and Rabbit Boy debate the bird’s evilness. 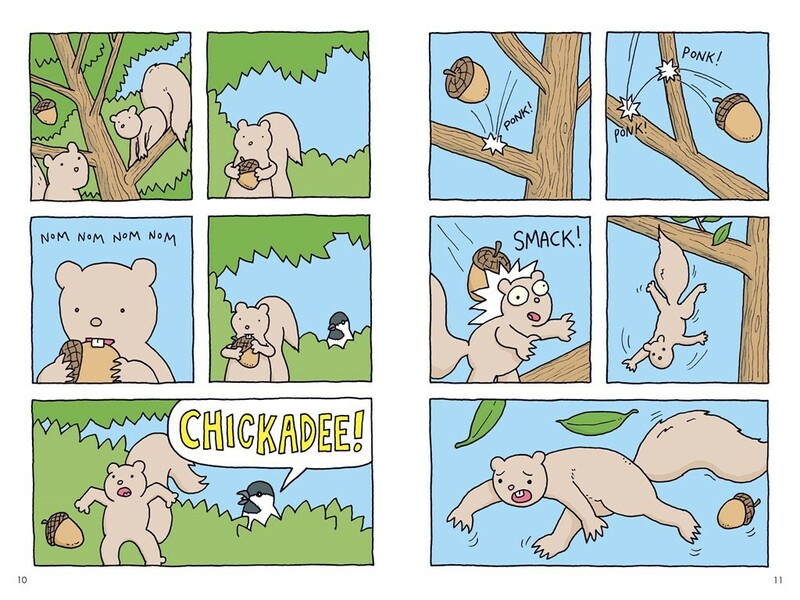 And, as you can see, innocent bystander squirrels get caught up in the action again in book 2. Poor squirrels! Can’t wait for you to see the rest of the book on October 24th! But for now, go read the preview – just click the thumbnail images below the cover image and the preview will open in a new window.